TD Customs got some attention on Asheville’s WLOS News station Tuesday morning! It was great getting to talk about our custom paint services, including the new electroluminescent paint, Lumilor, featured on our TD Customs motorcycle. 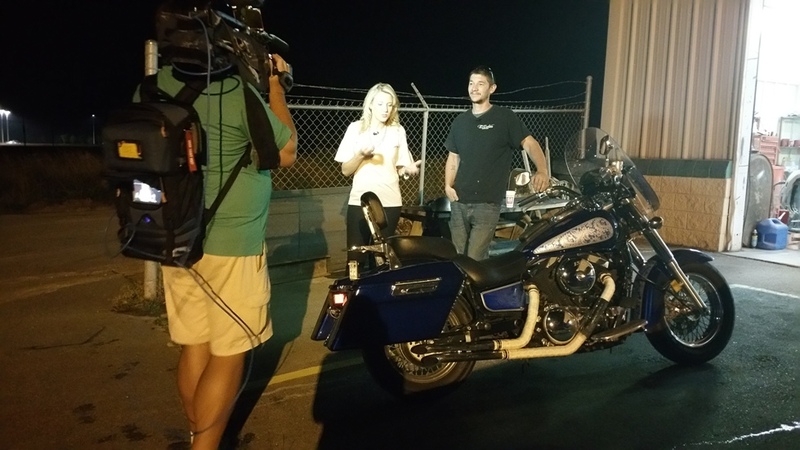 WLOS reporter, Lauren Brigman, came to the shop to check out the TD Customs motorcycle with its light up paint job, and we got to do four different live clips talking about the bike. They did the first interview at 5am, then 5:30, 6, and 6:30am. Having several live interviews over the course of the morning turned out to be really great because they were able to show the paint in different shades of light. Tim also got to take Lauren for a ride down the street and show just how bright the paint is and how noticeable it is while you’re out riding. 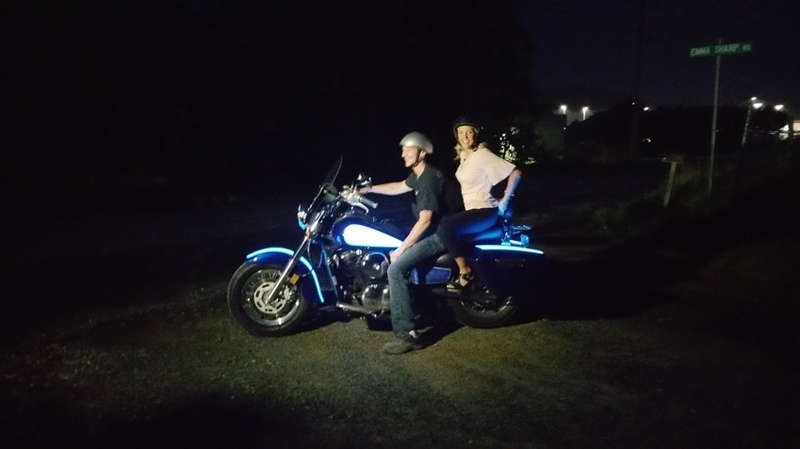 Lumilor is a great safety feature for motorcycles. Instead of just a headlight, you now have a paint job that lights up a good amount of surface area. It’s hard not to notice it going down the road, which WLOS was able to capture. We loved getting to share some of our work with the Asheville community. Many people have never heard of a paint that can connect to an electric source and light up. It’s a very new product. When people see it for the first time, they’re always blown away. TD Customs is one of five shops in the country certified to apply Lumilor, so we’re happy to bring such a cool custom paint option to NC. Thank you to Lauren and WLOS for taking the time to come out and show off our newest, coolest paint job! We had a great time, and are glad Asheville viewers got to see what this paint is all about. As we said in the video, we will be at the WNC Ag Center’s Mountaineer Antique Auto Show this Friday and Saturday, July 1-2 from 8am – 5pm. We’d love to see you all out there, so stop by! Here is the full video with the four interview segments featuring TD Customs owner, Tim Donaghue, on Asheville’s WLOS Morning News. He did great!!! 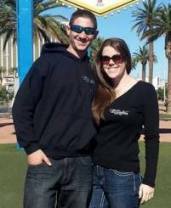 Be sure to Like TD Customs on Facebook to keep up with all of our coolest projects and shop happenings! No Replies to "TD Customs on WLOS Morning News!" Welcome to the TD Customs blog, where we share all kinds of cool stuff going on, from restoration updates to Lumilor work and other custom paint jobs.